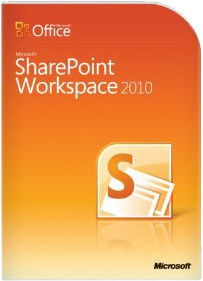 Microsoft SharePoint Workspace 2010 is a client for Microsoft SharePoint Server 2010 and SharePoint Foundation 2010 and lets you synchronize desktop content with SharePoint documents and lists in real time. SharePoint Workspace 2010 also gives you the option of creating Groove workplaces for shared and connected working on synchronized and open folders. The Workspace focusses on working together via synchronized web sites making it easier for information worker to share online as well as offline content. Further information: Please check the official Microsoft specifications. Feel free to ask our customer service staff anything you might find yourself troubled.